You may have heard the news that Australia’s population will pass 25 million people on August 8th. The milestone has been widely reported in the media and is generating a lot of discussion about population policy. So how do we know the exact moment our population hits the 25 million mark? 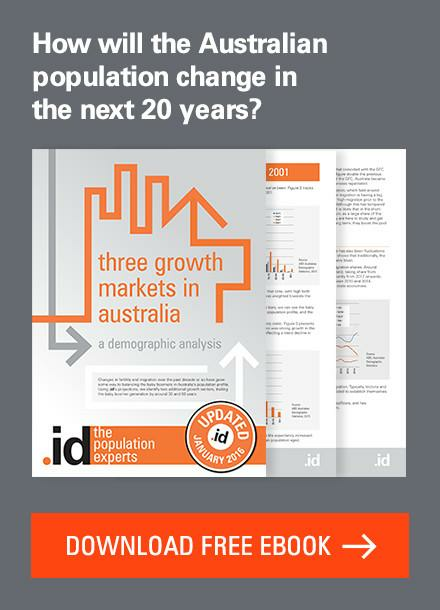 The latest official estimate for Australia’s population is 24,770,700. This figure is from December 31, 2017, and is shown in Australian Demographic Statistics, the ABS’s quarterly publication (Catalogue 3101.0). These things are normally known after the fact. But the 25-million-on-August-8th figure is based on projecting the growth rates from that time, taking into account a birth every 1 minute 42 seconds, and similar rates for deaths, in- and out-migration. The calculator is pretty simple – the details are shown here. Basically, they add one person every 1 minute 23 seconds in total. And note that the ABS is careful to describe it as a “projection”, not an estimate. In reality, we will never know exactly when the 25 millionth person arrived (or was born). But you can guarantee the media will go out and find a baby born or a migrant arriving to label them the 25 millionth! What does it mean to have 25 million people? Well, in essence, not a great deal. It’s an arbitrary number, which just happens to be pretty round because it’s a quarter of 100 million. There are a few interesting points about it though. I can remember growing up in the 1980s, the first time I was aware of Australia’s population, I knew it as about 15 million. That stuck for a while before I realised it had actually grown. So we’ve added about 66% to our population in the last 30 years. Much will be made of the fact that our population growth is accelerating. We hit 24 million in January 2016, so it’s taken 2 years and 7 months to add another million. The previous million took just on 3 years, and the one before about 2 years and 10 months. So the rate at which we’ve clocked the last few million isn’t hugely different. 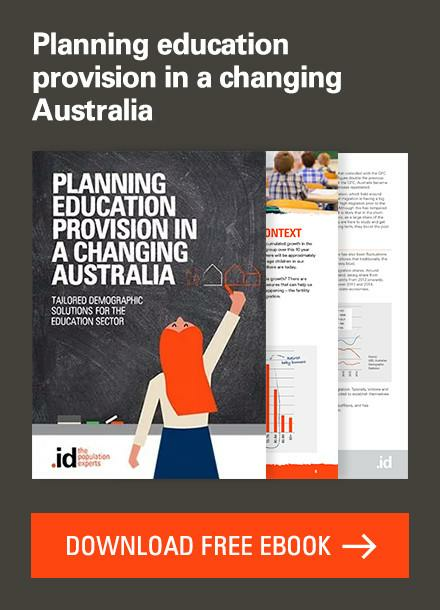 But it’s important to note that percentage change tends to do that – if you maintain a growth rate of 1.6% (Australia’s current growth rate), by the time the population reaches 70 million, you’re adding 1 million people per year. So to keep the same growth rate, you have to add to the number more rapidly. So we’d probably expect to see this increasing over time anyway. Where does Australia sit internationally? 25 million people makes Australia the 53rd most populous nation in the world, with a similar population to North Korea, Ivory Coast, and Madagascar. Of course, by area, we are the 6th largest nation, so we are still relatively underpopulated compared to geographic size. How does it affect the population debate? There is a lot of discussion about Australia’s population at the moment, perhaps driven somewhat by these milestones that keep coming up. It’s true that Australia’s growth rate is relatively high among developed nations and that it’s mainly underpinned by migration. In the last year, 62% of Australia’s growth was from net overseas migration (note that this is a NET figure – it is affected by people leaving Australia as well as those arriving). Proponents of high migration will point out that our population growth drives the economy, and that we would have a declining population if we didn’t import people, due to not having enough babies. This is not quite correct. While population growth would be lower without migration, we still have far more births than deaths – The fertility rate is below “replacement” level (usually quoted at 2.10 babies per female – we are at 1.79), but this is age adjusted. With no migration and current fertility rates, we would still have around 30 years of growth before the population started to decline the way Japan is at the moment. On the other hand, opponents of migration and high population growth point to the infrastructure problems we have, traffic congestion and effects on the environment. This is limited to a specific geographic area though. Australia is somewhat unusual in having a highly concentrated population. We have 70% of our population in 5 large cities, and 40% – 10 million, in just two, Sydney and Melbourne. 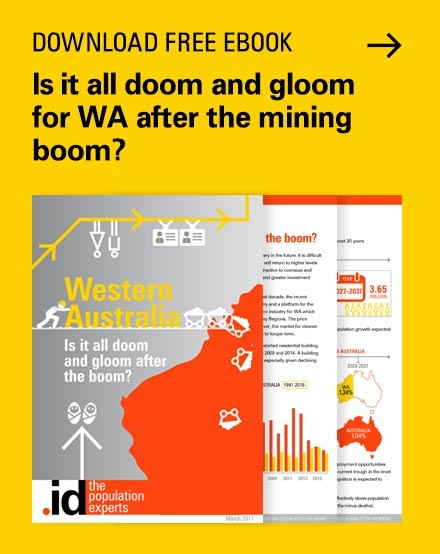 And those two cities account for close to 70% of total overseas migration into Australia, so there are naturally growing pains there, as infrastructure struggles to keep up. 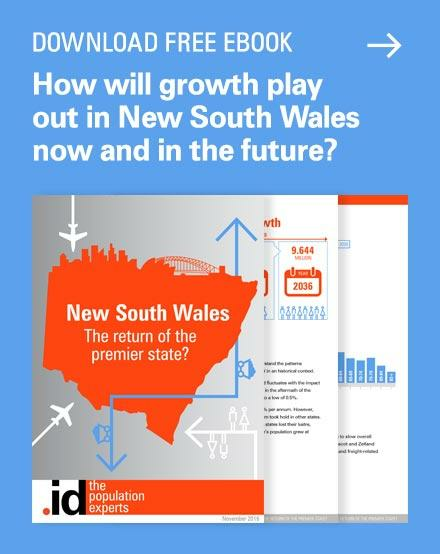 That said, people do move out to other areas – Sydney, in particular, contributes around 16,000 people per year in net terms to regional areas, based on the last migration estimates. 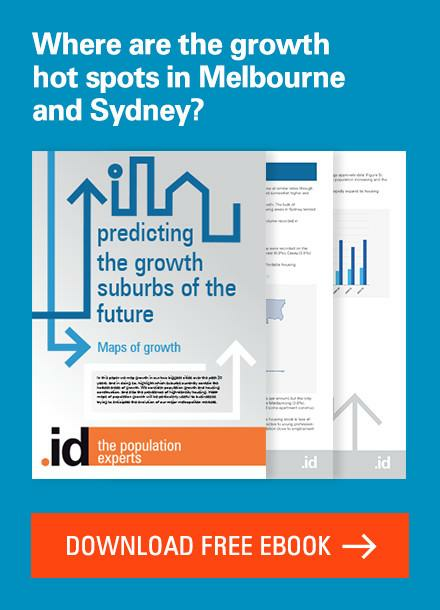 The growth is high in Sydney and Melbourne because that’s where most of the jobs are located. 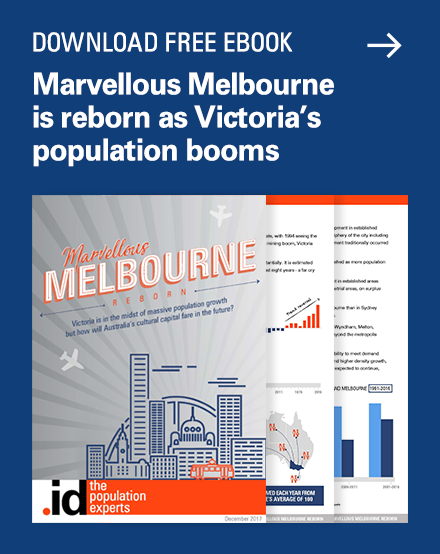 And many country towns are crying out for more population. Perhaps we need to work out a better way of distributing population growth, but governments have less control over this than you might think. In the end, while it’s fairly arbitrary, the 25 million milestone does focus attention on the fascinating subject of population and its distribution. 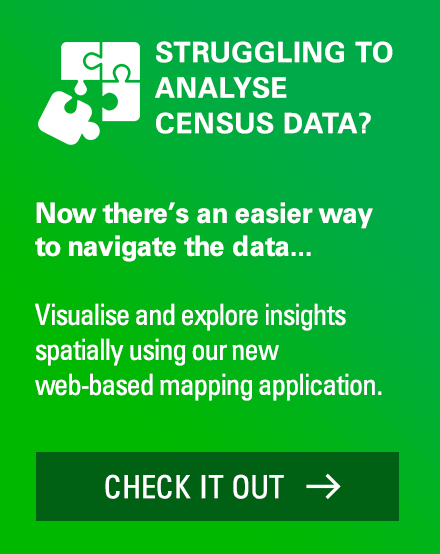 We have been working in this area for over 20 years, and our online demographic profiles help you understand your local population and where it’s heading. 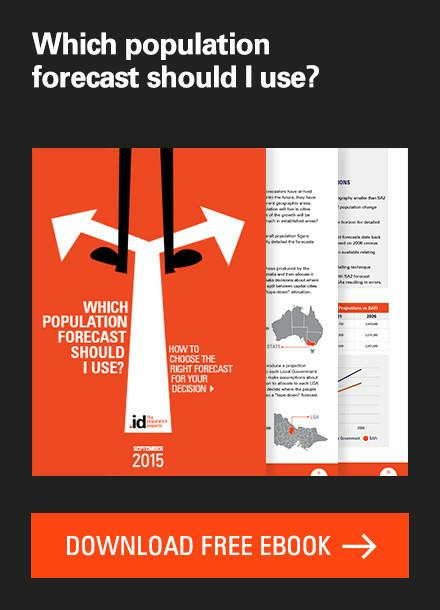 Or, check out our local population forecasts to see how population change is likely to affect your area.